The Matt Marks Impact Fund offers up to $7,500 seed money to begin development on exciting, ambitious projects with Alarm Will Sound that have potential to make significant cultural and social impact. The goal with each project is to attract additional funders and stakeholders to bring the project to full fruition. 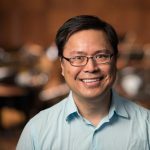 Projects that are groundbreaking and unconventional, or composers who are unknown and under-represented, often go unsupported because traditional funders may see them as too risky. Yet these risks often have the potential for the greatest impact because they change the ways we make music and the people we make music with. Alarm Will Sound is committed to making that change in our field. Innovation, experimentation, unconventionality, and uncertainty can make it difficult to find stakeholders for a project, especially before it exists. Within the established system for funding new commissions, support often goes to well-established practices and artists. There are also systemic roadblocks, especially when it comes to under-represented artists. Finding support for new work is a difficult chicken-egg problem: funding goes to composers and work with an established track record, but establishing a track record needs funding. Furthermore, commissions are linked to high-stakes premieres which discourage taking risks on unconventional or unknown work. Through the Matt Marks Impact Fund, we will break this cycle: workshops and performances will be a concrete opportunity to demonstrate the artistic value of work supported by the fund. We want to expand the stylistic and demographic diversity of our work and working relationships because we believe that art remains relevant when it reflects the society in which we live and that it makes a difference when it transforms how we experience the world. Matt spent the last week of his life in St. Louis rehearsing, performing, and recording with his friends of Alarm Will Sound, many of whom he had known for twenty years. As a founding member, his incredibly broad knowledge of music was a great asset, introducing us to unique artists and bizarre tunes we never would have come into contact with otherwise. Matt was passionate about expanding the boundaries of classical music through stylistic diversity and the inclusion of artists who have been historically excluded from our field. He was integral to the formation of Alarm Will Sound’s identity, and his work as a performer, composer, and community organizer extended his impact. 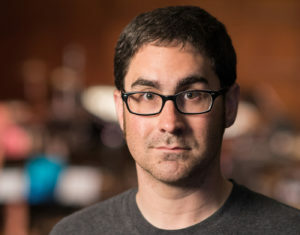 The Matt Marks Impact Fund will be a living memorial that embodies his values and continues to push Alarm Will Sound — and the entire field of classical music — to be more innovative, diverse, and inclusive. Subscribe to our mailing list for event news and new music. Alarm Will Sound relies on your generous tax-deductible support to create innovative concerts, productions, and recordings of today’s music.